submerse - Are You Anywhere. Vinyl LP. Bleep. Instrumental hip-hop / UK bass / whatever you call it producer now based in Tokyo drops a new twelve track album on Project Mooncircle. Vintage new agey textures aplenty on the DX7 keys plus 90s style slow jam beats come together to form a smooth accompaniment for your next late night walk across the city. 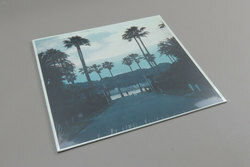 Submerse builds upon his epic ‘Works’ LP to further explore his current chillwave sound.